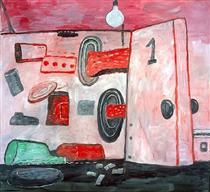 Philip Guston (pronounced like "rust"), born Phillip Goldstein (June 27, 1913 – June 7, 1980), was a painter and printmaker in the New York School, an art movement that included many abstract expressionists like Jackson Pollock and Willem de Kooning. 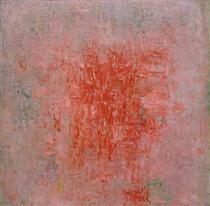 In the late 1960s Guston helped to lead a transition from abstract expressionism to neo-expressionism in painting, abandoning so-called "pure abstraction" in favor of more representational, cartoonish renderings of various personal situations, symbols and objects. 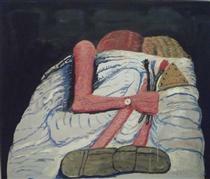 He is known for his cartoonish paintings of an existential, lugubrious nature that employed a limited palette and were created in the period after 1968. 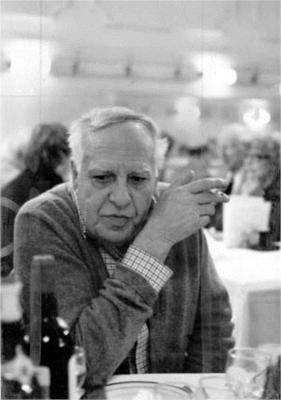 Moreover, he was a lecturer and teacher at a number of universities and so he is also regarded for his words and teachings, collected in the book Philip Guston: Collected Writings, Lectures, and Conversations (Documents of Twentieth-Century Art). 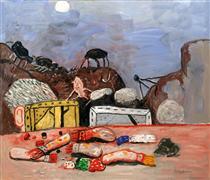 Philip Guston was born in 1913 in Montreal. 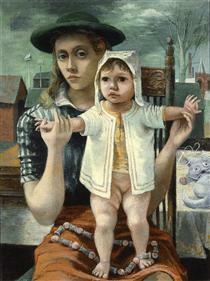 Guston moved with his family to Los Angeles as a child. His Ukrainian Jewish parents had escaped persecution when they moved to Canada from Odessa, Ukraine. 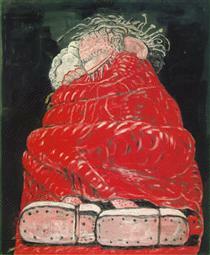 Guston and his family were aware of the regular Ku Klux Klan activities against Jews, blacks and others which took place across California. 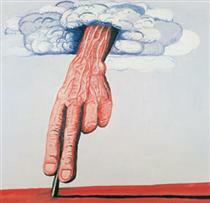 In 1923, possibly owing to persecution or the difficulty in securing income, his father hanged himself in the shed, and the young Guston found the body. 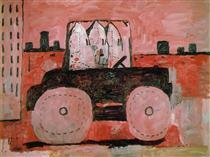 Guston's early art was figurative and representational. 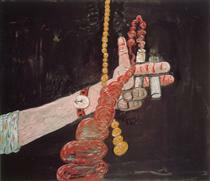 His mother supported his artistic inclinations and he often made drawings in an environment of his choosing: a small closet, lit by a hanging bulb. 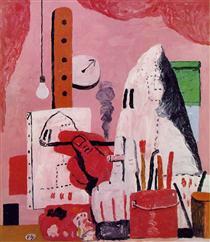 Guston then began painting in 1927 at the age of 14, when he enrolled in the Los Angeles Manual Arts High School. Both he and Jackson Pollock studied under Frederick John de St. Vrain Schwankovsky and were introduced to European modern art, Eastern philosophy, theosophy and mystic literature. 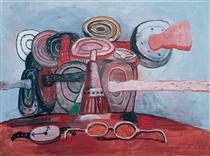 During high school, Guston and Jackson Pollock published a paper opposing the high school's emphasis on sports over art. 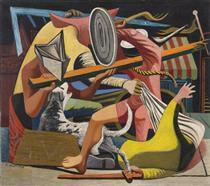 Their criticism led to both being expelled, but Pollock eventually returned and graduated. 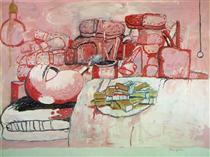 Apart from his high school education and a one-year scholarship at the Otis Art Institute in Los Angeles, Guston remained a largely self-taught artist. 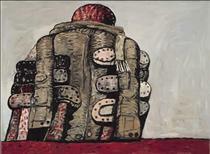 At the Otis Art Institute, Guston felt unfulfilled by the academic approach which limited him to drawing from plaster casts instead of the live model. 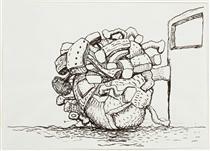 Before leaving the school, Guston spent a night in the studio making drawings of the figurative plasters scattered all over the floor. In 1931, the 18-year-old Guston produced an indoor mural with Reuben Kadish in an effort by the local John Reed Club of Los Angeles to fundraise money in support of the defendants in the Scottsboro Boys Trial. This mural was then defaced by local police forces, known as Red Squads. The subsequent court ruling found no fault on the part of L.A. police, even though irreversible damage was sustained to many works of art. 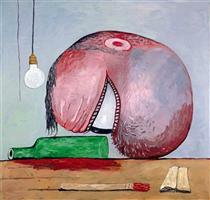 This marks just one instance of political corruption witnessed by Guston, a theme which he would return to paint in his late style.